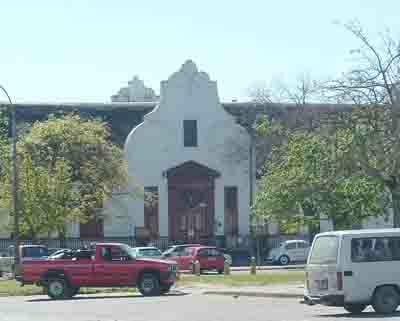 Since 1652 with the arrival of Jan van Riebeeck at the Cape the Dutch have had an influence on the buildings erected at the Cape. The first building to be erected by the Dutch was the Castle of the Cape of Good Hope which was built as a five rampart stone castle. The original entrance which faced the sea was moved to between the bastions of Buren and Leerdam facing Strand Street in 1684. 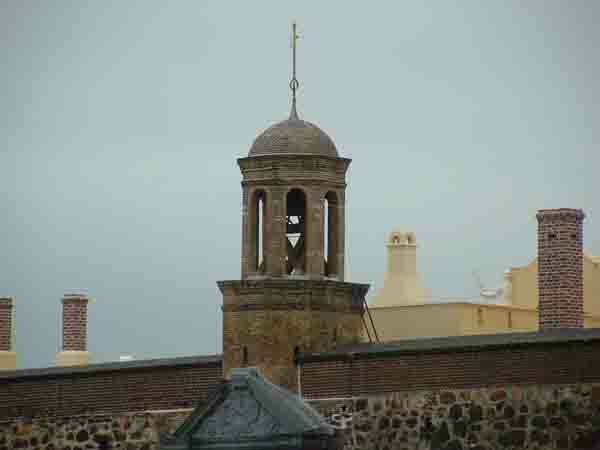 When the entrance was moved van der Stel ensured that the Dutch influence in the Cape would be remembered forever by installing a bell weighing 305 kilograms over the main gateway which when rung could be heard up to 10 kilometres away. Ringing it today would be absolutely useless as people on the Parade would most probably not hear due to the noise levels in the city. 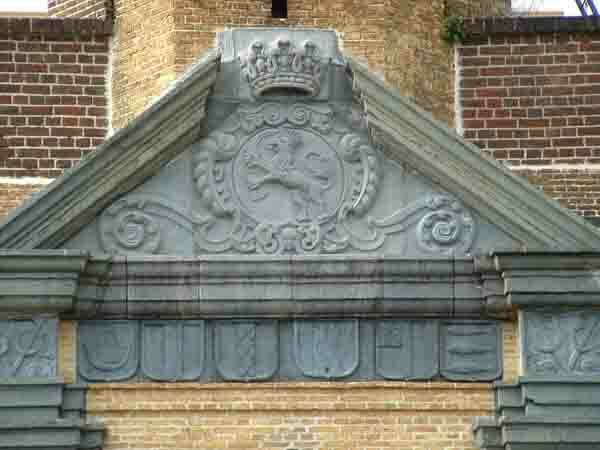 He also built a coat of arms under the bell tower over the entrance which included the coats of arms of the the following seats of the Chambers of Commerce which made up the seats of the Dutch East India Company. " Amsterdam, Rotterdam, Delfdt, Zeeland, Hoorn and Enkhuizen." This coat of arms is still there today. As people began to move away from the city to their farms in the rural areas of the Cape farmhouses including the Dutch designs found in places such as Amsterdam were built by the Dutch farmers. These designs became known as Cape Dutch. The significant difference between Cape Dutch and other buildings is that a Cape Dutch house has a gable at the front of the house, is normally painted white and has a thatched roof while most other designs did not have the gable. The Cape Dutch design has become very popular with homeowners and in Cape Town today there are hundreds of them with the Cape Dutch gables but only a few of them still have the thatched roof. The cost of insurance to cover a thatch roofed house is very high as thatch is considered to be a fire hazard. It consisted of a double curve with a dormer window and the thatch of the roof hanging over the curves. 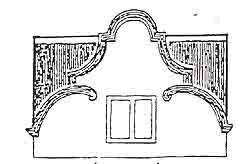 The Joostenberg gables had two fashionable designs during the period 1700 to 1800. They consisted of a series of concave curves with three or five curves on either side. 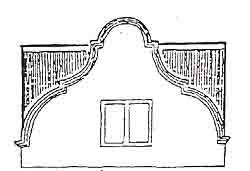 Both designs are pretty similar with the Lanquedoc design having the bottom curves extending inwards to just above the dormer windows whereas the Klipheuwel design consisted of inward and outward sweeping curves. The toy museum is a good example of the third design which became more prevalent after 1800 and known as the Rhone gable. It continued with the Baroque style of the Joostenberg designs but the gentle curves gave way to classical pediments which had urns and vases mounted on them. If the gables were something to identify the houses by so were the designs of the Cape Dutch houses themselves. There were three basic plans which over the years were added to, to create more space for the families living in them. The most popular design used in urban areas was the " U " shape where the house consisted of eight rooms. Three in the front of the house, with the two outside rooms leading to the central room, the voorkamer or front room as it was known. Directly behind that were another three rooms with doorways between the Agter kamer (the central room) the voorkamer and the two side rooms. The agter kamer had a stoep leading off it and on each side of the stoep were two more rooms which one could gain access to from the agter kamer. A good example of the U shaped design is the manor house at Groot Constantia which was built as a double storey house by van der Stel. When it burned down in 1925 it was rebuilt as a single storey but has all the other historical accoutrements of the house that was built in 1685. The front of these houses normally had a large stoep running the length of the house and a staircase climbing leading to the front door. A more basic design was the "T " plan which was used by rural families . This house consisted of a voorkamer which had a room on either side of it and then extended down the length of the T to the agterkamer and then to another room at the end of the "T". As families grew these "T " houses were often added to and took on the the shape of an "H ". 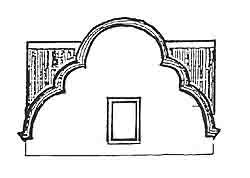 The "H " shaped houses had the same internal design as the "T" shaped houses except that the second leg of the " H " had two rooms added to the room which linked to the agter kamer. Today there are not too many of the old original Dutch houses left. If one goes looking for them the best place to look is in the winelands where many of the larger wine estates have renovated their old manor houses to their original condition. In Cape Town itself there are still a number of Dutch designed houses in the Bo Kaap. 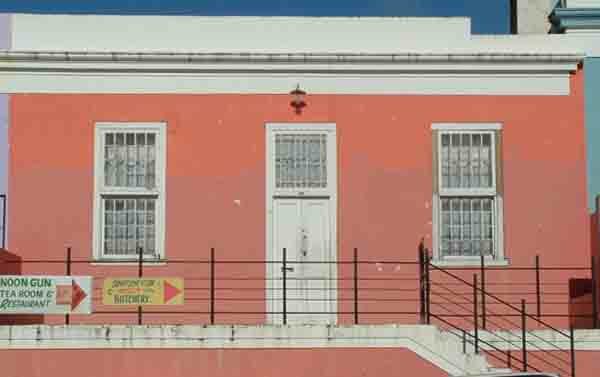 For the untrained eye it is difficult to decide whether the houses in the Bo Kaap are of British or Dutch origin as the two designs have been built side by side and in many instances look very much the same. The secret however is the windows of the buildings. The Dutch houses do not have an outside window sill whereas the British houses do. It is strange that such a small difference in a design can identify who built or designed a building which is a few hundred years old. Many of these small Dutch houses were of the "T" design but over the years their owners have added to them. 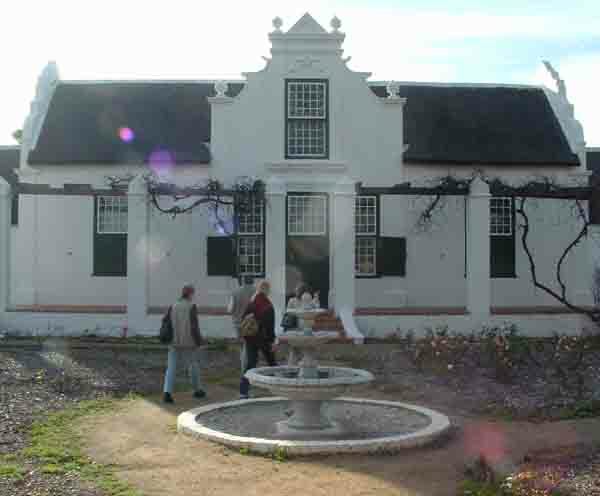 In Stellenbosch the village Museum has a series of four houses which have been refurbished and furnished in various periods and in them one can see the various Dutch designs that were used in the Cape in the early centuries of the Cape's history. 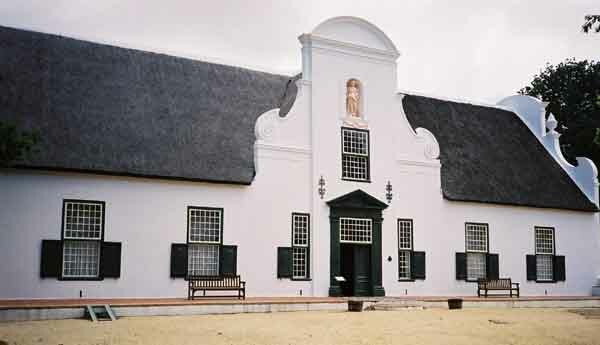 A visit to this museum is a must for those who love the early history of the Cape.